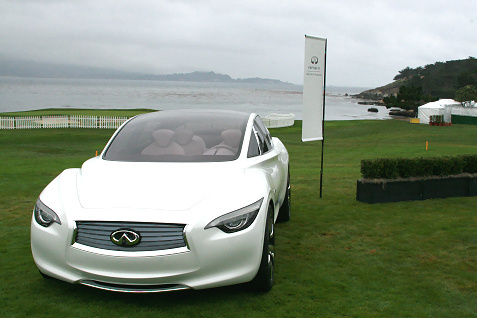 I knew I was in for a treat when I traveled to Pebble Beach this past weekend with Infiniti. Any trip to the beautiful Bay Area that included a visit to the iconic Pebble Beach golf course would be memorable. But visiting during the Pebble Beach Concours d’Elegance provided a completely unique experience. 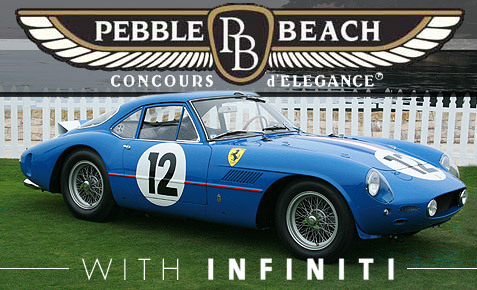 The Concours ranks as the most prestigious classic car show in the world. I was stunned by the number of beautiful cars that were on display. 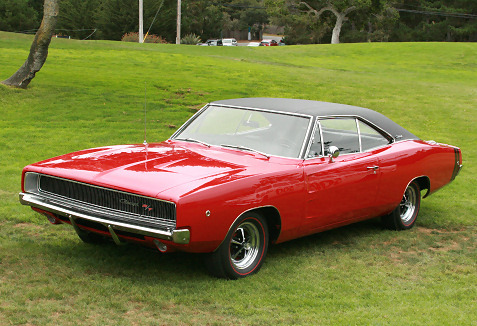 It’s a car enthusiast’s dream event, but anyone who appreciates great cars would have an unforgettable experience. Infiniti took the opportunity around this event to introduce two impressive concept vehicles, including the JX Concept crossover which made its debut at an elegant evening event and the Etherea concept which was introduced for the first time in North America. 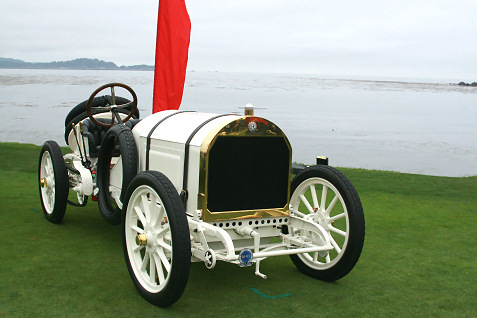 The Etherea was introduced on Saturday morning on the 18th green at Pebble Beach, which would be the location for the Concours on Sunday (see photo below).